At the end of WWII, the U.S. Army occupied Franzensbad, Czechoslovakia (modern Františkovy Lázně), as well as the neighboring towns of Eger (Cheb), Falkenau (Solkolov), and Wildstein (Skalná). 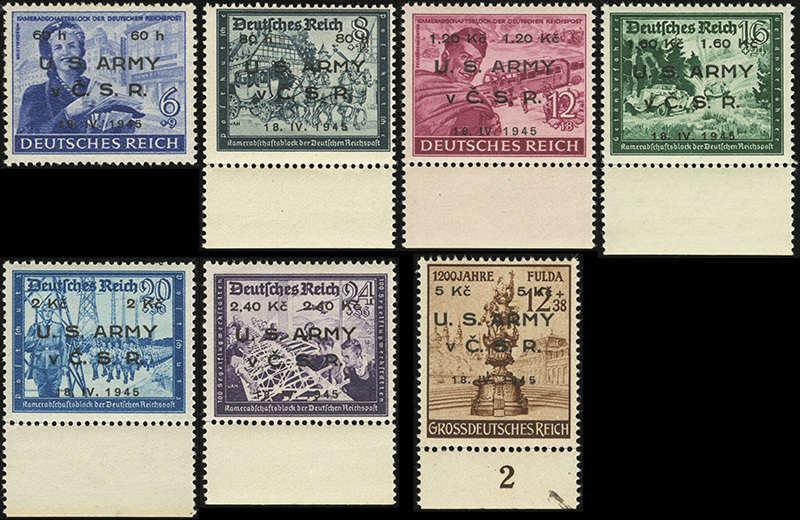 Due to a lack of Czechoslovakian postage, German stamps (MiNr 886, 888-893) were overprints by the U.S. Army. They were never authorized by postal authorities, and sale to the local civilians was prohibited. The overprint is “value / U. S. ARMY v C.S.R. / 18. IV. 1945″. Total printed were 1,250 of the MiNr 888-893 overprints, and 1,000 of the MiNr 886 overprint. Who would have needed to authorize them for use? That is, I guess, who were the postal authorities in that region at the time? Side question: Were no Bohemia and Moravia stamps available any more, or did they never - or rarely - get distributed to the region? 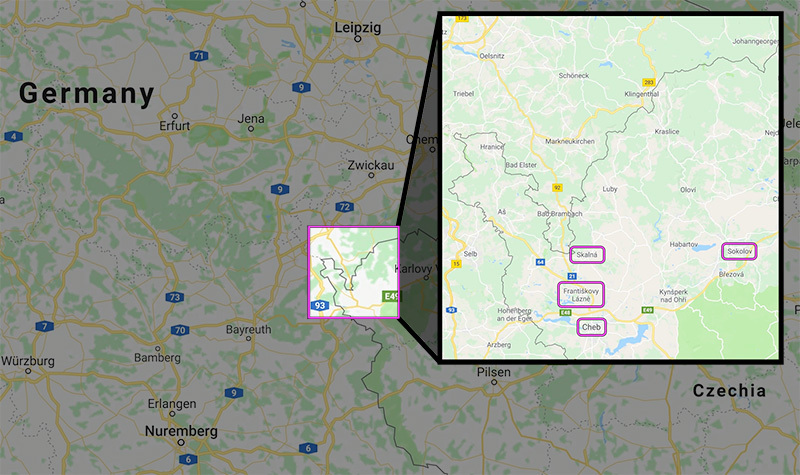 The region those towns were located were part of Sudetenland - detached from Czechoslovakia and annexed by Germany. Bohemia and Moravia was the remaining territory.